Buying a new car and financing the purchase beats leasing – unless you plan to trade in your car after a few years. The longer you own your car, the more you’ll save buying versus leasing. First, the interest rate is usually much higher on leases than car loans. 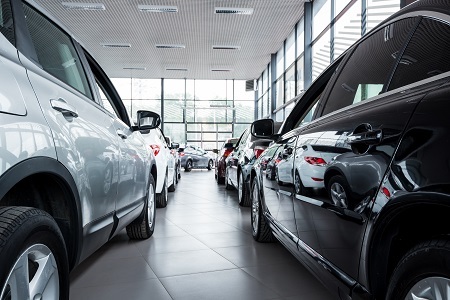 WalletHub’s recent survey of car manufacturers’ financing arms, for instance, showed they charged 1.45% on average for 36-month car loans versus a 4.58% APR for leases. Buying is also a better deal because it costs less to own an older car, which depreciates more slowly than a late-model car. Once your lease is up in two to four years, you’ll need to lease or buy another car – and most people who lease prefer new cars. If you had bought, you’d be closer to the end of your car payments, instead of starting over. Buying gives you more control. You’re free to sell or trade in your car at any time or keep it as long as you like. If you sell a car you own outright, the cash value is yours to use any way you want. Buying a car also frees you from worry about incidents that can trigger fees in a lease. Leases have penalties for excess mileage and for wear and tear. And if you want to customize your car, you can. But owning has some downsides. First, you’re tying up more money. Most lenders require a higher down payment for a financed purchase than for a lease, often 10% to 20% down. Monthly finance payments will be higher than lease payments because you’re paying off the entire purchase price, plus interest, and finance charges. If you’ll definitely want a new car in a few years, you may end up paying enough in finance charges that leasing is the more logical option. A car starts to depreciate the moment you drive it off the lot. How fast it depreciates, and how its condition fares over time, will become your problem when you trade it in or sell it one day. After the warranty expires, repairs and upkeep will be entirely your responsibility. When you lease a car, you borrow the car’s entire value, less any down payment or trade-in value specified in your lease arrangement, just as you would if you were financing a purchase. As in a car loan, you will be charged interest. However, you only pay back the depreciation, rather than the vehicle’s full cost. That’s why leases normally offer lower monthly payments. You are covering depreciation plus rent charges, or interest, rather than paying off the car’s full value. The down payment is usually lower too; sometimes a dealer will waive it altogether for a lease. A lease also relieves a driver of the hassle of disposing of a car once he or she is done with it. Also, the car’s factory warranty covers repairs for most or all of the period in which you will lease the car. The major downsides of leasing are lack of flexibility and equity. In the long run, a lease costs more than an equivalent loan because you can’t recover any portion of your payments. If you need to end the lease early, early termination charges will often end up just as expensive as sticking to the contract. Breaking the lease may even cost more once you factor in early-termination fees. You also may find yourself responsible for fees when you return your leased car. If you drive over the mileage limit, typically 12,000 or 15,000 miles per year, charges can add up quickly. The same is true if your car shows wear and tear beyond what the dealer considers normal, which is a major reason why drivers with young children or pets often find leasing impractical. You will almost always need excellent credit to qualify for a lease at all. Buyers with bad credit have to shoulder higher interest rates but can typically still get a loan unless their credit is truly awful. If the higher monthly payment is the major sticking point for buying a car, consider opting for a longer-term loan to bring the payment down. Longer loans also mean you will end up paying more interest over the course of the loan. Even so, a longer loan still offers advantages over leasing for many drivers. Whether you buy or lease, always negotiate the price with your car dealer. Some experts claim you will get a better deal if you negotiate as if you plan to buy the car, then say you plan to lease after you and the dealer settle on a price and trade-in value. Buyers should not simply accept the dealer’s finance offer without shopping around. Apply to more than one lender so you can compare options. Homeowners can consider using a home equity line of credit, which is tax-deductible for loans up to $100,000. Beside the interest rate, consider the loan term and any other fees, such as a prepayment penalty. While financing a purchase is usually better than leasing, it’s not the right answer for everyone. Match your decision to your needs, finances and lifestyle to minimize the cost of owning cars over the long term. And don’t buy or lease more car than you need. A jumbo SUV looks impressive but costs much more to buy or lease and to keep in fuel and tires than a smaller vehicle. David Walters, Certified Financial Planner (CFP®), CPA, is a portfolio manager with Palisades Hudson Financial Group’s Portland, Ore., office.